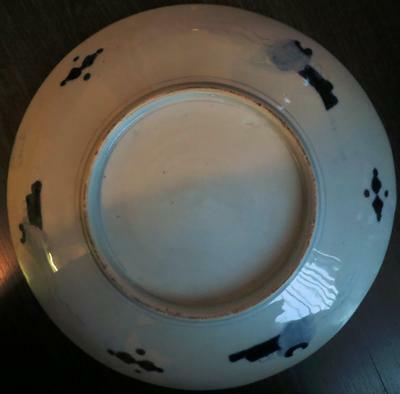 I'm a novice collector and bought some (hopefully) antique Chinese porcelain. 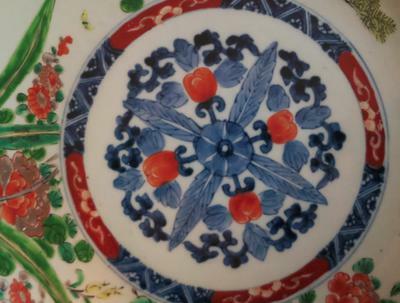 This item was sold to me as a 19th Century Imari plate. I did some research on the internet to identify this item but couldn't find more information about this item. 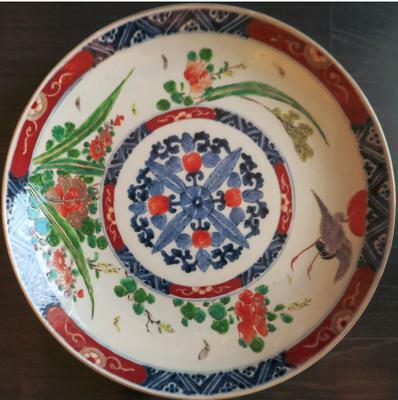 Could someone tell me a bit more about this Imari plate? Japanese decorations have a completely different oattern. 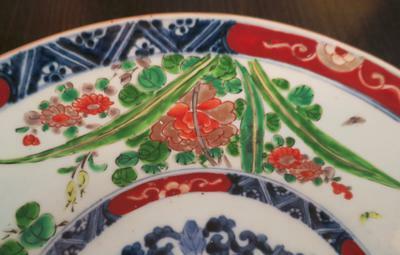 For example, this type of rim decoration cannot possibly appear on Chinese porcelain. I would recommend to look at Arita decorations to get a feel for this type of Japanese decoration. How can you tell it is Japanese? thanks peter. Can you tell me how you know it is Japanese and not Chinese? I'm trying to learn how to research porcelain. I did downloaded your ebook yesterday and start reading it. But extra help would be appreciated. I cannot tell for sure if it is 19th century. Might be, but it is Japanese and not Chinese.